This month continues to be a slow one for new releases. Barring too many delays, the Fall season promises to be very active, however. Sherman's March in Myth and Memory by Edward Caudill and Paul Ashdown (Rowman & Littlefield, 2008). These authors have written about the image of other Civil War figures and events in popular culture (including Forrest and Mosby). It might serve as an interesting companion to Noah Andre Trudeau's upcoming Sherman's March study. Finding Sand Creek: History, Archeology, And the 1864 Massacre Site by Jerome A. Greene and Douglas D. Scott (Univ. of Oklahoma Press, 2006). A great mix of narrative and research methodology. Anything by Jerome Greene is worth a purchase. I've read and reviewed a pair of Univ. Press of Florida published archaeology titles recently [here and here], both of which involved Scott's pioneering battlefield archaeology work in some shape or form. August Willich's Gallant Dutchmen: Civil War Letters from the 32nd Indiana Infantry ed. and trans. by Joseph Reinhart (Kent State University Press, 2006). I've written before about recent publications highlighting the German contribution to the Union war effort in the western theater (see this earlier post). This book is another worthwhile contribution by Reinhart, and an attractive package put together by KSUP. The next issue of Blue and Gray Magazine (Vol. 25, Issue 2 - Summer 2008) will be the final piece of a five-part series covering the campaign and battle of Chickamauga by noted expert William Glenn Robertson. I understand it was a rough year as a subscriber if you have no interest in the battle, but I can't recommend the issues highly enough. This whole series has been an example of the best of military magazine publishing in long form. Put together, the magazine has basically issued a new Chickamauga "book". Here is the Table of Contents (.pdf format) for part 5. It's been a treat that should tide anyone over until Dave Powell finishes his Chickamauga map study. A reader emailed me asking my thoughts about the quality of the Kessinger Publishing POD reprints of old (presumably public domain) Civil War titles [you can see a list of examples here]. I haven't had the opportunity to examine a copy so I have no opinion of these editions beyond the crazy prices and ugly covers. The publisher's website indicates they have some kind of partnership with Amazon, which would explain why these titles so frequently come up with subject or keyword searches on Amazon. Descriptions of the books are non-existent, indicating their appeal primarily to those who 'know what they're looking for'. Anyway, if you own any Kessinger books, feel free to share your impressions in the comments section. I can guarantee that at least two people will be interested in reading your thoughts. 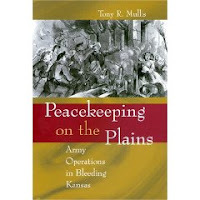 Mullis: "Peacekeeping on the Plains: Army Operations in Bleeding Kansas"
The scholarly literature inspired by the "Bleeding Kansas" era is richly developed, with a burgeoning number of books and articles examining the social and political aspects of that turbulent period. However, the U.S. military's prominent role in the conflict has been comparatively neglected. Tony Mullis's book Peacekeeping on the Plains sets out to address directly this area of deficiency. Along the way, Mullis succeeds in crafting a broad introductory study that both addresses specific military themes and points out existing gaps that were beyond the scope of his own work (hopefully to be filled one day by other scholars). The author accepts a working definition of peace operations to be the "application of military force or the threat of its use, normally pursuant to [governmental] authorization, to compel compliance with resolutions or sanctions designed to maintain or restore peace and order" (pg. 3). Focusing his book on the period 1854-1856, Mullis studies starkly contrasting army operations, from treaty enforcement against the Brule Sioux in 1855 to peacekeeping duties in Kansas, conducted with the goal of maintaining the rule of law amidst mounting political violence. Not surprisingly, the author finds that army methods differed widely in dealing with Indians vs. the white citizens of the free soil and pro-slavery factions. In is perhaps not immediately apparent why Mullis devotes so much attention and space in his book to William S. Harney's campaign against the Brule that terminated in the bloody battle at Ash Hollow and forced the tribe's compliance with the Laramie Treaty. However, the author's description and analysis of the campaign serves to effectively demonstrate to the reader the wide range of actions that might be defined as peacekeeping missions, and how their conduct can be almost indistinguishable from open warfare, depending on the perspective of the participant. The campaign against the Sioux in Kansas also highlighted the difficulties in C3I [command, control, communication, and intelligence] that would recur in the later factional disputes. Mullis's picture of the communications difficulties encountered by civil and military authorities in Kansas, centered around the various reasons behind the misuse and limitations of the available telegraphic system, is both surprising and instructive. In the latter half of the book, Mullis deals with territorial military-civilian relations, and the controversies surrounding army intervention in "Bleeding Kansas". He traces the increasingly intimate partnership of the U.S. army with the federally appointed officials of the Kansas Territory. An unsavory aspect of army involvement in territorial affairs was land speculation by officers. While the practice was legal, the manner in which the War Department dealt with real and potential conflicts of interest was very inconsistent [the author compares and contrasts two high profile cases in great detail]. In terms of C3I difficulties, slow and uncertain communications meant that the officer on the scene was often saddled with making momentous decisions without clear instructions from superiors. According to Mullis, Edwin V. Sumner and later Persifor Smith performed their duties very well, although Sumner's action in dispersing the Topeka assembly came under great scrutiny in press and government circles. Placement of these officers under the direction of locally elected civilian territorial officials was also problematic. Military officers were expected to be impartial in the performance of their peacekeeping duties, but partisan political considerations were omnipresent, leaving conscientious military officers in a tough bind. The ugly Kansas strife served to bolster the Republicans nationally as the 1856 presidential election approached, and the Democrats desperately sought a means to calm the crisis before the issue ruined their chances. The team of Governor John W. Geary and General Persifor Smith (both dedicated Democrats) effectively maintained peace in Kansas until their shared goal of the election of Franklin Buchanan was achieved. Although the peace didn't last, it became widely recognized that army involvement was essential to the exercise of popular sovereignty in Kansas and the transition to statehood. A well researched and tightly drawn treatise, Peacekeeping on the Plains provides astute (and useful) analysis of the political, technological, and command issues that needed to be addressed and/or overcome by the U.S. army in order for the civilian government to maintain law and order in Kansas. Although specialized in nature, and rather more demanding in terms of background knowledge on the part of the reader than most introductory studies, Mullis's original work should be regarded as required learning for all students of Kansas's troubled origins. Confederate Colonels: A Biographical Register by Bruce Allardice (October). Thomas Ewing Jr.: Frontier Lawyer and Civil War General by Ronald D. Smith (October). Man of Douglas, Man of Lincoln: The Political Odyssey of James Henry Lane by Ian Michael Spurgeon (November). Wittenberg, Petruzzi, Nugent: "One Continuous Fight: The Retreat from Gettysburg and the Pursuit of Lee's Army of Northern Virginia"
One Continuous Fight is the second full length study of the retreat from Gettysburg to appear within the last three years. Kent Masterson Brown's Retreat From Gettysburg: Lee, Logistics, and the Pennsylvania Campaign (UNC Press, 2005) is an exceptional logistical treatise and an underrated military history of the retreat itself, largely from the Confederate viewpoint. That said, the work of Wittenberg, Petruzzi and Nugent in One Continuous Fight should dispel most reasonable queries questioning the need for another retreat study. While Brown addressed most campaign issues from a Confederate perspective, Wittenberg et al. concentrate their efforts on the Union pursuit of Lee's retreating army. However, the primary focus on the Federal cavalry movements and fighting does not neglect appropriate levels of coverage and analysis of the Confederate conduct of the retreat. John D. Imboden's superb performance escorting and defending the massive wagon trains, and Jeb Stuart's covering of the retreat overall, are Confederate military achievements outlined and justly lauded by the authors. Over twenty battles, engagements, and skirmishes are described in the text, a comprehensive collection to be sure. Of the book's 18 maps, most depict troop movements and positions during the above clashes. Drawn mostly at brigade scale or above, they are in line with the typical degree of detail found in the battle narrative. While the number of maps is certainly greater than the amount typical found in Civil War studies, a few more were needed. For instance, readers would have benefited from a map of the dispositions of the opposing forces at Falling Waters on July 14. The analysis presented in the conclusion utilizes a measured approach, notable for its clarity and fairness. The main point of contention examined was the question of whether Meade could have done more. The authors' point by point arguments addressing this issue (both favorable and critical of the general) are beyond the scope of this review, but the writers are generally satisfied with Meade's performance. It would be easy to decry the initially timid infantry pursuit, but I welcome their refusal to engage in strident criticisms based on omniscient hindsight. That said, I am not fully convinced of their dismissal of the Union option to directly pursue the Confederate army as a violation of the directive to remain between the enemy and Washington. The deepest cuts are reserved for Alfred Pleasonton, the acting commander of the Federal cavalry corps during the campaign. The general's abdication of overall corps direction, his dispersal of forces, and his poor decision to hold back one of his three divisions, all contributed to several lost opportunities to inflict greater physical harm to Lee's army (or at least slow the Army of Northern Virginia's retreat enough to allow the Federal infantry a better shot at catching the enemy at a disadvantage). Excepting a number of obvious typos (and instances of phrase and paragraph repeats) that should have been caught pre-publication, the overall presentation leaves little cause for complaint. The full cloth boards are nice. The supplementary materials presented in One Continuous Fight are particularly valuable. Even though I've had no opportunity to try them out for myself, I have no doubts that battlefield trampers will delight in the driving tours [one follows the retreat route and the other the wagon train of wounded]. Both offer detailed directions and commentary, and each is supported by numerous photographs and GPS coordinates for every stage. The OBs in Appendix C also go the extra mile by including the units of the Department of the Susquehanna, the Middle Department, and French's Harpers Ferry Command [only Benjamin Kelley's command from the Cumberland area is missing]. All serious students of the Gettysburg campaign will want to read One Continuous Fight. Battle descriptions are well researched and clearly written, and the supporting analysis is both evenhanded and based on realistic assessments of the military possibilities. This contribution to the Gettysburg literature is abundantly worthwhile. The slow June-July release schedule allowed me to catch up on my backlog of promised reviews. Siege Train: The Journal of a Confederate Artilleryman in the Defense of Charleston by Edward Manigault, ed. Warren Ripley (Univ. of South Carolina Press, H-1986 P-1996). This is one of the essential volumes of the Civil War Charleston library. Manigault was an unusually dedicated diarist and meticulous chronicler of the more technical aspects of his military trade. Two large pullout maps and a number of wonderful illustrations grace its pages. Nice editing work by Ripley. Major General Robert E. Rodes of the Army of Northern Virginia: A Biography by Darrell L. Collins (Savas Beatie, 2008). I liked the author's earlier work (see reviews of his Salem Raid and Jones-Imboden Raid books), but this Rodes bio appears to be his best researched effort to date. One other interesting thing of note is the appearance of former N&S magazine editor and fine fellow Terry Johnston as an editor for this manuscript. In further biography news, the same publisher has another in the pipeline, this one is a new Sickles bio. 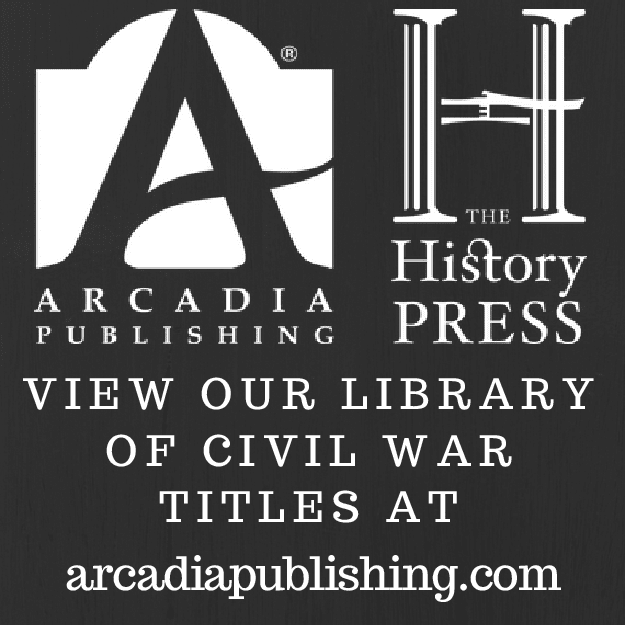 Lincoln's Labels: America's Best Known Brands and the Civil War by James M. Schmidt (Edinborough Press, 2008). A very enjoyable book, and that's from someone whose regular reading does not at all include business histories. Myers: "Caution and Cooperation: The American Civil War in British-American Relations"
That the Civil War was an exceptionally dangerous period in U.S./British relations is a popular belief among scholars and enthusiasts alike. However, Phillip Myers seeks to dispel such notions in his book Caution and Cooperation. Through a meticulous examination of the evidence, Myers constructs a persuasive case for the idea that British intervention in the Civil War was never really close, and the relations between the two powers are instead best characterized as a continuation of a long standing and assiduously maintained rapprochement. War served the national interest of neither nation, a truth that was recognized early on by both President Lincoln and U.K. Prime Minister Palmerston (regardless of the latter's personal antipathy toward the U.S.). Of course, a number of well documented political crises emerged during the Civil War years that would strain American foreign relations. Along with its complaints about active blockade running by British citizens, the U.S. government deplored the U.K. proclamation of neutrality, it's construction of commerce raiders, and its recognition of Confederate belligerency status. On the other side, the British protested the Union naval blockade (and initially had very reasonable doubts as to its legality), its frequent extension to neutral ports, and the seizures of neutral shipping. Each policy decision, crisis point, and resolution is painstakingly presented and analyzed by Myers; all persuasively (and repeatedly) linked to his main thesis -- that long term, mutual 'caution and cooperation' defined relations between the two countries. If Myers's characterization of the process is accurate overall -- and there is no significant indication that it isn't -- the brand of diplomacy crafted by the Lincoln/Seward and Palmerston/Russell teams was a model one, a means to effectively reinforce shared national aims while at the same time smoothly resolve both longstanding differences and unexpected crises. Negotiations were conducted through private channels and differences that were found to be unresolvable in the short term were simply shelved for later. Internal divisions within the American and British cabinets might also have led to war. The author devotes a great deal of space detailing the efforts of Secretary Seward and President Lincoln to suppress both anti-British feeling within the cabinet and Radical Republican saber rattling in the legislature (especially Sen. Charles Sumner) and the press. Palmerston made a similar effort to quash interventionist proposals from his colleagues (most prominently William Gladstone). Myers contrasts these skillful political maneuvers with the Davis administration's disorganized and abrasive Confederate diplomacy toward Europe, from the failed cotton embargo to the poorly chosen overseas representatives. Caution and Cooperation also deals at length with the more long-standing issues of mistrust between the U.S. and Britain. The border situation in Puget Sound is briefly touched upon, but most attention is paid to the larger issue of a potential American invasion and annexation of the Canadian provinces. Though misplaced, fears of losing Canada to U.S. imperial designs were entertained by the Palmerston government throughout the war. A lengthy chapter is also devoted to slave trade interdiction efforts off the coast of Africa. Prior to the Civil War period, Britain had serious doubts as to the sincerity of American cooperation, an issue that was addressed largely to their satisfaction by the Lincoln administration. Complaints about this impressive book are niggling in nature. While frequent reinforcement of the author's findings as they related to his main thesis were a frequently effective argumentation tool, the degree of repetition in the text was a bit too much at times. Also, some of the temporal arrangements in the narrative were mildly confusing. Caution and Cooperation is an original and important book. It's case against the view that Antietam and the Emancipation Proclamation were decisive in preventing foreign recognition of the Confederacy is very compelling. In terms of diplomatic impact, it seems that the most that can be said for them was that they extinguished already dying embers of Confederate hopes. These were important events to be sure, but British cabinet and public support for intervention never had significant momentum. Myers also effectively demonstrates that the Civil War, far from being an exceptionally divisive event in American-British relations, fits squarely within a decades long tradition of diplomatic cooperation. Instead of damaging relations for an extended post-war period [a widely accepted interpretation], the mutually beneficial resolution process to issues raised by the Civil War actually increased the bond between the two countries. This book is highly recommended, and sure to spark debate. This is a continuation of the previously updated post highlighting the Civil War related offerings of the Fall/Winter catalogs of the various university presses. F/W at UT Press will be another season of Civil War originals and reprints. The press is reprinting Walter Durham's two-volume history of Union occupied Nashville: Nashville: The Occupied City, 1862–1863 and Reluctant Partners: Nashville and the Union, 1863–1865. Each reprint will have a new preface that discusses the relevant scholarship undertaken since the original editions were published. I quickly skimmed through a library copy of the first volume a while back. I don't recall specifics but it struck me as something worth picking up at a later date. A Soldier’s Letters to Charming Nellie: The Correspondence of Joseph B. Polley, Hood’s Texas Brigade, edited by Richard McCaslin. This is a new, annotated volume of Polley's previously published, and oft referenced, letters. Yale’s Confederates: A Biographical Dictionary by Nathaniel Cheairs Hughes, and Lee’s Last Casualty: The Life and Letters of Sgt. Robert W. Parker, Second Virginia Cavalry, ed. by Catherine M. Wright. ed. Wing: "A Rough Introduction to This Sunny Land: The Civil War Diary of Private Henry A. Strong, Co. K, Twelfth Kansas Infantry"
Reiterating Ed Bearss's lament in the foreword of "A Rough Introduction to This Sunny Land", truly useful diary accounts written by Trans-Mississippi soldiers (especially private soldiers) are relatively few in number, and rarely published. Thus, editor Tom Wing and the Butler Center deserve praise for bringing Private Strong's journal to the printed page. With one notable exception, most of Henry Strong's wartime service was confined to the Fort Smith environs. Formed in September 1862, the 12th Kansas would spend its entire term of volunteer infantry service in the Trans-Mississippi theater. Private Strong's diary begins in earnest in October of 1863. Soon after, he and his regiment would travel south through western Missouri before finally arriving at Fort Smith, Arkansas at the end of the year. In early 1864, Strong's unit participated in the Camden expedition wing of the Red River Campaign, returning to Fort Smith at its conclusion. The rest of the war was spent doing garrison duty and conducting various expeditions of brief duration in the NW Arkansas area. Strong's journal entries are very regular and vary in length. These daily impressions can be several paragraphs in size, but most comprise only a handful of sentences. Individually specialized interests, such as thoughtful ruminations on nature, politics, or curious descriptions of local flora and fauna, often characterize the writing of Civil War diarists. In Strong's case, in addition to his general observations, he faithfully and precisely notes all distances covered. Reading the diary, one also gets a clear idea of just how rugged western Arkansas was for military campaigning, and the character of the fighting [lots of darting raids and bushwhacking]. Editor Tom Wing's footnotes provide useful background information about individuals, places, and events mentioned in the diary. In several instances, excerpts from official reports were included as supplementary materials. The notes also point the interested reader toward related books and articles. "A Rough Introduction to This Sunny Land" is recommended reading for students of the Trans-Mississippi, especially for those whose Civil War research interests encompass the wild and comparatively neglected region surrounding Fort Smith, Arkansas. * * * * * * * * * * * * * * * *Note: past and future Butler Center publications are now distributed by Univ. of Arkansas Press. DW: History has accorded John White Geary a fairly solid reputation as a military officer, but your book excoriates him for his repeated alarmist (and false) reports in the wake of Jackson's Front Royal/Winchester victories. Do you believe Geary's unfortunate actions had a significant role in influencing Lincoln's decision to divert McDowell to the Shenandoah? PC: Absolutely. He behaved as shamefully as General Shields said he did at the time. The man was panic-stricken by phantom forces, and his dispatches reflect that. But Lincoln and Stanton could not ignore them; after all, Geary was the commander on the ground and presumably had at least some notion of what he was up against. The trouble is, he didn’t. DW: While you take some pains to paint Lincoln's direct order to send McDowell into Valley as a measured (not panicked) response, you do not expressly condemn it until the book's final pages, and rather briefly at that. As operational blunders go, on a scale of 1 to 10, where would you place the president's decision to suspend McDowell's movement toward Richmond? PC: There is no question that it was measured, but I think it was the wrong decision. With one being foolhardy and ten being brilliant, I’d rank it as a four. Given his propensity to inflate his enemy’s numbers, there’s no guarantee McClellan would have succeeded with McDowell’s additional 40,000 men. But the extra pressure McDowell undoubtedly would have exerted on the Confederates would have forced Johnston to spread his forces so thin that even a McClellan-like tap most probably would have sufficed to break his lines. And if Johnston had been defeated and Richmond captured, Jackson’s small army in the Valley would have been of no consequence. DW: You (in a more detailed fashion in Shenandoah 1862) and Gary Ecelbarger both mention the shooting of retreating Federal troops by the female residents of Winchester. I don't recall reading anything quite like it. How much corroborating evidence is available for these unsettling incidents? PC: An overwhelming amount, including some from the Confederate side, which is most telling. It wasn’t a case of camp rumor, the “I heard him say that he heard someone else say that ladies fired upon him” sort of thing. It was direct and compelling. 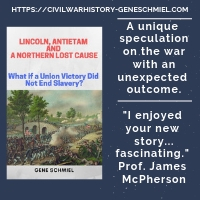 DW: Coincidentally, I just read of another similar incident (a young Hagerstown woman shot a Federal sergeant from an upstairs window) in the new Gettysburg retreat book One Continuous Fight . Perhaps the controversial topic of pre-war firearms familiarity between the opposing sections needs to be extended to the ladies! You frequently cite incidents of widespread straggling and plundering by the Germans of Blenker's division. How much of these reports do you attribute to both sides' nativist attitude toward foreigners vs. the degree of actual depredation? PC: I’m afraid the evidence is pretty strong that Blenker’s men committed widespread depredations – at least by the standards of 1862. But they had had a pretty rough time of it, being marched hither and yon for weeks on half rations or less. DW: Christian Keller's recent study of German troops in the eastern theater certainly agrees with that assessment. Heavy straggling was a severe problem for Jackson throughout the campaign. Do you believe there were inherent problems in the discipline and organization of his Valley District army, or would any force exposed to similarly exceptional hard marching and deprivations (at least at this stage of the war) experience comparable loss levels? PC: I think most commands under similar circumstances would have lost nearly the same number of men to straggling. The proximity of many of the men to their homes, at least those of the Stonewall Brigade, encouraged some undue wandering. DW: I suppose he will always be "Commissary" Banks in the public imagination, but your book is the second this year to provide a revisionist account of the Massachusetts general's underrated performance. Both are persuasively argued. Were you surprised by your own conclusions? PC: Yes, I was. But I have no reason to doubt the veracity of the Union quartermaster reports that reveal just how few wagons he lost. Also, in the immediate wake of his defeat at Winchester – often in letters penned the same night – Banks’s officers and men praised him for his conduct of the retreat from Strasburg to Winchester, of his handling of the battle itself, and of his personal courage and fine leadership during the retreat to the Potomac. Men who have just suffered a defeat don’t praise their commander unless he did something right, and they certainly would not have if he had lost an appreciable part of his trains. Apropos of nothing, from contemporaneous sources, Banks also comes across as a very likeable and principled man. Thank you Drew for the thoughtful questions and for giving me the chance to talk about Shenandoah 1862. 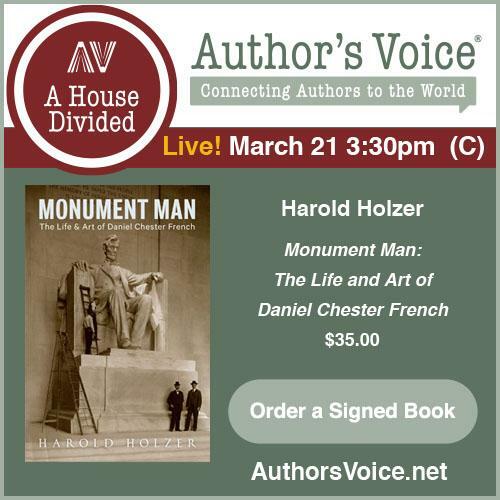 DW: Thank you for your time, Mr. Cozzens, and best wishes for your book's success. Peter Cozzens, a Foreign Service Officer with the State Department, is an independent scholar who has written a number of highly regarded Civil War studies. They include a western theater quartet [This Terrible Sound: The Battle of Chickamauga , The Shipwreck of Their Hopes: The Battles for Chattanooga , No Better Place to Die: The Battle of Stone's River , and my personal favorite The Darkest Days of the War: The Battles of Iuka and Corinth ]. 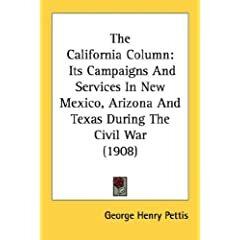 He's also edited The Military Memoirs of General John Pope (Civil War America) , The New Annals of the Civil War , five volumes of the Eyewitnesses to the Indian Wars, 1865-1890 series, and several new volumes of the classic Battles and Leaders series. 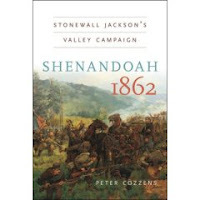 Mr. Cozzens graciously agreed to answer a few questions about his upcoming book Shenandoah 1862: Stonewall Jackson's Valley Campaign , a volume in University of North Carolina Press's Civil War America series. DW: Your previous campaign histories all hailed from the western theater. Did anything in particular inspire you to move across the Alleghenies and do an eastern campaign? Was the '62 Valley Campaign always an interest of yours? PC: Not really. To be honest, I think the Civil War was only part of the reason. My late parents honeymooned in the Shenandoah Valley. From viewing their photos of the Valley innumerable times while growing up, I developed an affinity for the region without ever having seen it. And after my good friend Keith Rocco moved there in the early 1990s, I spent a good deal of time in the Valley. I came to appreciate both the beauty of the region and its rich history. From the perspective of the Civil War, I thought there was a serious gap in the literature when it came to Jackson’s Valley Campaign, which I will address presently. So it seemed a natural and appealing subject. DW: While a number of your edited works were released by Stackpole, all of your original studies (including this one) were published by university presses. As a non-academic historian, what do you find particularly attractive about working with academic presses vs. the many other options available in the marketplace? PC: Many things. University presses do an excellent job promoting titles that they judge to have market appeal; well enough to ensure that all my previous original works were History Book Club or Book of the Month Club selections. The quality of the book – paper, binding, and such – is better than that of books from most trade publishers. With university presses I have also enjoyed a great amount of input in terms of the lay out (such as the featuring of Keith Rocco’s superb artwork on the dust jackets.) And you don’t find the revolving door of editors you sometimes do when working with a trade publisher. Lastly, university presses tend to keep titles in print longer. My first book, No Better Place to Die, is still in print eighteen years after publication. DW: It's my opinion that while the individual battles of the Valley campaign have received good (sometimes exceptionally so) coverage, the broader accounts incorporating overall strategic and operational elements are distinctly lacking. What is your view of the quality of the literature? PC: It varies widely, of course, but for individual battles you can’t go wrong with the fine work of Bob Krick and Gary Ecelbarger. Treatments of the campaign in general works on the war tend to perpetuate many of the misconceptions – and legends – that I’ve tried to debunk. I didn’t go into the project with any particular intentions in that regard – the evidence led me to my conclusions. DW: Your study is certainly the most balanced and comprehensive treatment of the campaign to date. After completing your research, were there any common perceptions of the campaign, or how it was fought, that you expressly set out to rectify in "Shenandoah 1862"? PC: Thank you so much for the compliment. I’m glad you said “after completing your research.” Several things struck me: that in battle Jackson’s generalship came up short; that Banks did a far better job than he has been given credit for; that, under similar road and weather conditions, Jackson’s “foot cavalry” marched with no greater rapidness than did their Federal counterparts; and that Jackson had a bad habit of looking for scapegoats in defeat. DW: I wouldn't disagree with any of that; and if one were so inclined, the available evidence would certainly make it difficult to do so. Robert K. Krick lauds your uncovering of a "gratifying body of new primary source material..." and the bibliography indeed boasts an impressive array of manuscripts from all over the country. Could you speak about some of your most significant discoveries, and the role they played in shaping your study? PC: Nothing earth-shaking. Principally, I went deeper – far deeper I think - into source material than did authors of previous studies of the campaign. And I did so in a balanced manner. Robert Tanner’s book Stonewall in the Valley is a beautifully written work, but as he made clear in his introduction, his purpose was to tell the story of the campaign from strictly the Confederate perspective. I believe a campaign must be approached as objectively as possible, giving each side its due. In terms of the Valley Campaign, there is no other way that one can judge Jackson’s accomplishments. DW: Judging from the amount of attention devoted to Frederick W. Lander in the pages of your book, you and fellow Valley historian Gary Ecelbarger seem to have a shared fascination with the man and his career. I must admit to being similarly intrigued by Lander, and his similarities to Nathaniel Lyon. Both men were strong leaders, uncommonly aggressive, and more than a bit eccentric (unbalanced? ), with promising careers cut short by early death. What is your overall opinion of Lander and his potential? PC: I found nothing with which to disagree in Ecelbarger’s biography, and I think Lander had great potential and would have performed admirably, even brilliantly, up to corps level command – perhaps even as an army commander. I think he would have spotted the remarkable flaw in Jackson’s deployment at Kernstown, in which he sent nearly all his infantry in a wide flanking movement and left his center and right exposed, and I believe Lander would have exploited it. He was aggressive but not beyond prudence. He certainly would have given Jackson no rest after Kernstown. DW: His temperament could be disturbing at times, but I guess we will never know how much of that irritation was due to the lingering effects of the wound that would eventually kill him. Reed: "The Battle of Shiloh and the Organizations Engaged"
David W. Reed is a Shiloh institution. Veteran of the battle and first official park historian, Reed wrote the text that graces the numerous and distinctive iron tablets placed throughout Shiloh National Military Park. With an eye toward objectivity, he also penned the official historical account for the park commission. Reed's book The Battle of Shiloh and the Organizations Engaged was first published in 1902, with a revised edition released in 1909 (and reprinted 4 years later). Historian Timothy B. Smith and University of Tennessee Press have now produced a fine, cloth-bound facsimile reprint of the revised edition for today's readers. Reed's work has lost none of its impact over the years. His terrain and troop movement maps [originally available as pull outs] are highly detailed, accurate, and widely regarded as the best available representations of unit positions at various intervals of the two-day battle. In addition to his brief campaign narrative, Reed provides the reader with a history of the battle tightly organized by command level*. Brigade entries follow the progress of the battle, paying particular attention to the movements of each regiment. The Reed maps also show the position of each regiment in the battle lines. According to Smith, Reed's unit accounts are very accurate, and the minor errors that did pop up were typically ones of omission (discovered by later research not available to Reed). A veteran of the 12th Iowa, Reed was in the thick of the fighting at the Hornet's Nest, and thus it is not surprising that he attaches a great deal of importance to that part of the battlefield. In addition to the text, Reed attached orders of battle, commanding & staff officer lists, and detailed strengths and losses tables. The Union army unit data tables are far more complete, with regimental strength figures mostly unavailable for the Confederate army. For this edition, the four 1901 maps overseen by Reed** are placed on a CD in PDF format. The scan quality is fine, and the format is well chosen for allowing easy navigation at various magnifications. Smith does not contribute his own notations to Reed's work, but his chapter-length introduction does provide some helpful background information about D.W. Reed and his role in the establishment and interpretation efforts of the battlefield park commission. Most important is Smith's placement of Reed's book within Shiloh's shifting historiographical traditions. After 100 years, this seminal work fully retains its original historical and reference value. Much deserved thanks goes to Timothy Smith and UT Press for bringing this handsome new edition to the attention of modern readers. * - army, division, and brigade for the Union forces; army, corps, division, and brigade for the Confederate army. ** - Map 1. The Field of Operations from Which the Armies Were Concentrated at Shiloh, March and April 1862. Map 2. The Territory between Corinth, Miss., and Pittsburgh Landing, Tenn., Showing Positions and Route of the Confederate Army in Its Advance to Shiloh, April 3, 4, 5, & 6, 1862. Map 3. Positions on the First Day, April 6, 1862. Map 4. Positions on the Second Day, April 7, 1862.